With the countdown to Christmas well and truly underway, Egyptians and people around the world are gearing up for what has become one of the busiest and most popular days in the calendar: Black Friday. An event in which shoppers vehemently compete with each other for deals on electronics, clothes, and anything else that represents a “discount!” or “sale!”. Originating in the USA, the shopping frenzy always falls on the first Friday after Thanksgiving. Black Friday will be on November 24 this year. What many people may not realize is the immense impact this holiday has for retailers and consumers all around the world. 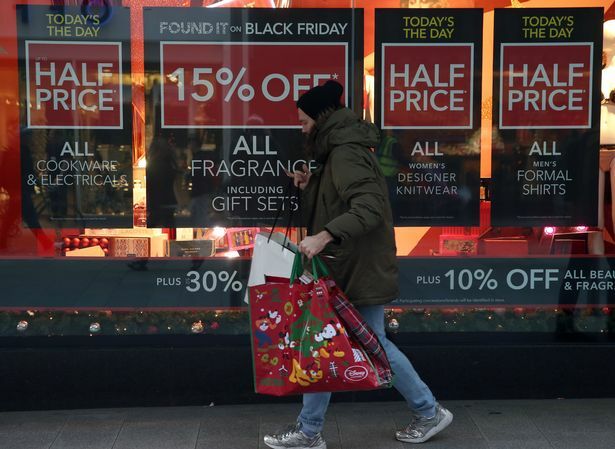 The occasion sparked a trend in the retail industry that has led to the creation of even more similar holidays around the world, attracting and encouraging consumers to conduct their holiday shopping early in order to take advantage of sales and deals. Black Friday has traditionally taken place on the Friday after Thanksgiving each year – falling anywhere between November 23 to 29. The holiday originated in 1924, with the term “black” being coined from old school bookkeepers using black ink to indicate a profit in their accounting records, as opposed to red ink to indicate a loss in profit. Retailers quickly realized they could capitalize on consumers’ eagerness to get their Christmas and holiday shopping done as early as possible, and the holiday has now expanded to more than just one single day, including Cyber Monday. Black Friday has gained notoriety in the many countries for sending some shoppers into a frenzy. Every year people queue for hours to be the first through the shop door and brawls are a regular occurrence as bargain-hunters fight over the best deals. In this video from last year, you can see shoppers queueing up on Black Friday at what seems to be City Stars Mall. Companies large and small have taken to using this unofficial start of the shopping season to garner a staggering amount of year-end sales. If you want to get the most out of every pound you spend on gifts, this commercial holiday is the very best time of the year to do your online shopping. Online sales have begun to consume an increasing portion of Black Friday spending (they totaled $3.34 billion last year), and for the first time, consumers are expected to spend more online this holiday season than in-store. Some online shops would go even further to make the sales promoted on Black Friday continue for a long period of time—could be even weeks. The online shopping giant Jumia is expanding the period of Black Friday to a whole month (!) where shoppers can enjoy discounts from the 12th of November until the 12th of December. One article even states that Jumia expects around 18 million people to visit their website during this campaign until it reaches its eventful end. But make no mistake, offline shopping isn’t going anywhere. People are still going to stand outside and wait in line for great deals. It’s what we do while we wait, and who we’re willing to wait for that represents the biggest shift in how we shop. Among the many countries promoting Black Friday, studies have been conducted to showcase that in general, consumers prefer to do their shopping on the American Black Friday or Cyber Monday. With that, there are still some countries that have created their own shopping holidays. China is one example with its creation of “Singles’ Day,” a pseudo-holiday that takes place in China on November 11 each year, with record-breaking sales that are making headlines. Singles’ Day originally began as an “anti-Valentine’s Day” event for people to celebrate their singledom, which is fitting for the date, as it is numerically depicted with all “1”s, but has since quickly become the world’s largest shopping holiday. Make sure you set a budget and have a shop around before the sales start. You may see some good deals in the run-up to the shopping event so make sure you keep an eye out. Black Friday just might be the time for you to buy that (new) iPhone that you’ve been setting your eyes on for some time with a considerable price.